Daily Essentials Gentle Facial Cleansing Wipes: For Dry and Sensitive Skin. It cleanses, tones and hydrates. It removes makeup and waterproof mascara. Suitable for sensitive eyes. It contains natural almond oil and Hydra IQ. 1 pack contains 25 Sheets. Pure Effect 3 in 1 Daily Deep Cleansing Exfoliating Wipes: For Oily and impre skin. Deeply cleanses, exfoliates and fights impurities. It contains Magnolia Extract. 1 pack contains 20 sheets. Overall, I am loving these wipes from Nivea. 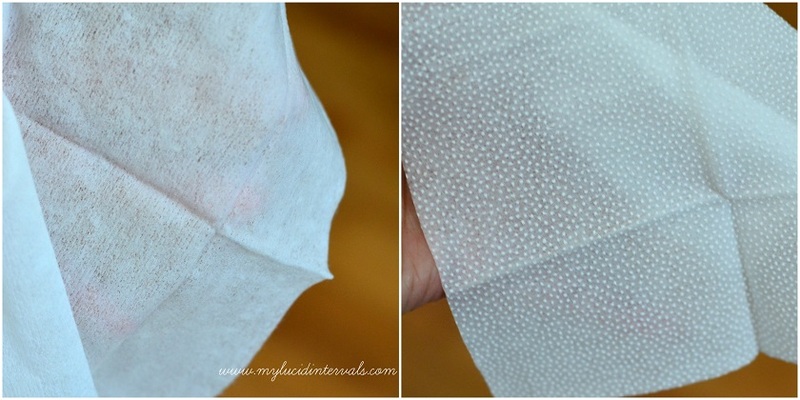 This debunked my theory that the best makeup wipes are the moist ones because these wipes surprisingly get the job done!! If you will ask me which I like between the two? I have to say that I like the Gentle Facial Wipes more because I can use it for eye makeup removal and it just have a sweet subtle scent. After using one gentle facial wipe and one exfoliating wipe on my face. Without makeup but with eye bags!! Natutulog po ako promise. Si GENES po ang may sala kaya perpetually dark ang under eyes ko!!! What do you think? Is the Nivea Cleansing Wipe, a yay or a nay? Very nice make up remover.